Based on the short talk I gave at the Anime & Manga Art Workshop at the Taubman Museum of Art in Roanoke, Virginia. This is a cursory treatment of anime and manga, it's historical and cultural background, and the art movement that has resulted therefrom. Some might find it strange that a Polish artist, living in America, is making art based on Japanese culture. Because I grew up living in many different countries, and have this multicultural background, I look at the world in a multinational way. I see the flow of media across continents, and my work is based on my observations from that very multicultural perspective. Culture is integral to any art that is created, and so too with anime and manga there is a lot of history and cultural context that has shaped it over the years. 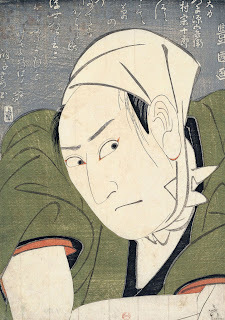 The Japanese art form of Ukiyo-e, which began around 1620, essentially laid the groundwork for a Japanese sensibility in art that would later find its way into manga, and then anime. This form of painting which started some 400 years ago had already established the use of flat colors and black contour lines. 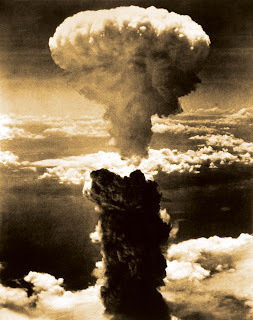 In 1945, atomic bombs were dropped on Hiroshima and Nagasaki, forever altering the nation of Japan and its people. The motif of the atomic bomb and destruction on a massive scale would come back in anime and manga again and again, and continues to resurface to this day. Having lost the war, Japan starts out on a rapid process of rebuilding and industrialization. In order to survive in this new world, many Japanese ideas are replaced with American ones, and the country undergoes a significant Westernization. This process permanently changes Japan into an economic and technological superpower. In essence, this was and is a realization of the stuff science fiction is made of. Post-war Japanese artist Osamu Tezuka, often referred to as the founding father of manga, saw what Disney was creating in the US. He was then inspired to create work of a similar character, but with a more distinct Japanese sensibility. Enter Astro Boy, as it came to be known in English, which cemented Tezuka's career. It's interesting to note how Astro Boy shares some visual similarities with Disney's work of that time. Tezuka at this point established the popular themes of robots and technology with Astro Boy. These themes would evolve and persist to this day, culminating in their own genres and sub-genres of anime and manga. 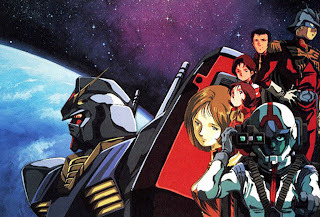 The 1980s saw a boom in the anime industry in Japan, as well as a growing popularity stateside. With more money flowing, experimental film begin to be created. Among those, the cult classic Akira sets new standards. With Akira, we yet again see a resurfacing of the atomic bomb motif portrayed by recurring scenes of large scale destruction, intricately linked to the presence of technology. Works such as Akira presented a seriousness which became more common during the period of the '80s and '90s. Further elaborated in the film Grave of the Fireflies, dealing with the issues of war, bombing, and destruction more directly became more accepted and applauded. Building on the trends of experimentation with the successful films of the 1980s, the '90s saw further exploration into uncharted waters in a serialized format. 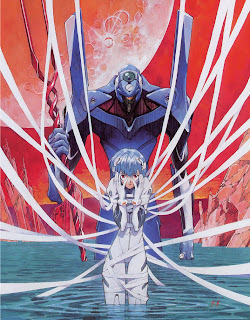 Neon Genesis Evangelion took those serious themes, and combined them with technological science fiction elements and motifs of robots and atomic bombs. It went one step further, by putting all these subjects under the umbrella of metaphysics. The period of experimentation culminated with the creation of Serial Experiments: Lain. The series built on multifaceted approach of including technology, but then advanced into a league of its own by becoming heavily cerebral. Lain embedded over a hundred references to literature, philosophy, history, and more. Its content is in my perception some of the most artistically created in the anime industry. So much so, that it served as the impetus for my shift toward this subject matter in my art. 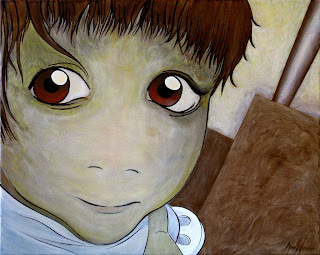 In 2000, I created my first anime styled painting, inspired by Lain (pictured above, right). During the '90s, artists Takashi Murakami (pictured above, left) and Yoshitomo Nara (above, right) spearheaded a new movement of art based on Japanese popular culture. Using the visual vocabulary of anime and manga, this movement gained a lot of momentum in the 2000s. The international success of these artists has served as inspiration for other young artists the world over who have become fascinated by anime and manga as it flows across national and geographic boundaries. It is interesting to me that I did not know about Murakami and his Superflat movement until several years after beginning to create work based on anime and manga. Personally, I found anime and manga imagery to be incredibly powerful as a means of artistic expression. 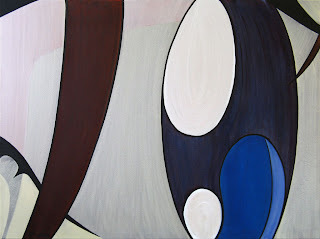 Yet it would be difficult to deny the fact that knowing Murakami's work later on did not have any impact on my work. While I never tried to emulate his style consciously, I think it still exerted its influence on me in ways that I was not aware of. Currently, my work is beginning to move away from the style I have been developing over the last few years. I am now on the verge of a significant change, looking at what moved me all those years ago when I first began creating this type of art and then opening up to let in a multitude of other cultural influences finally make their presence known. The most important thing in all of this, is to realize that while anime and manga may seem like a shallow consumer product at times it is in actuality a product of hundreds of years of history. Major cultural changes all contributed to the creation of a visual work that we are seeing today. This is true of any art form, but it is important to understand how this work has been influenced by the world we live in today and all that has come before us.